Under the direction of Chef Sian Hurley, UFV Culinary Arts students have now entered year two of their apprenticeship. 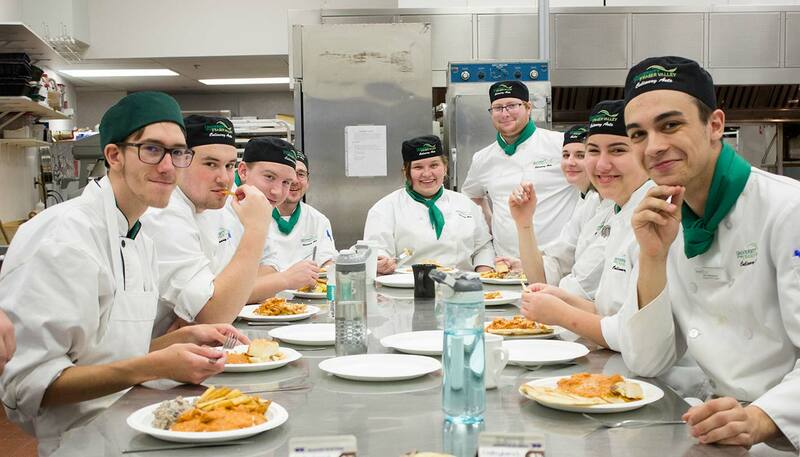 As part of gaining hands-on, real-work experience, Chef Hurley’s first graduating class will provide the UFV community with a flavourful dining experience by hosting a bistro at Rivers Dining Room. Rivers Bistro is open to the public from Apr 3 to May 10, 2019, from 11:30 am–12:45 pm on Wednesdays and Fridays in Rivers Dining Room at the Trades and Technology Centre in Chilliwack. Support the 2019 Culinary Arts graduating class: gather your coworkers and come enjoy an exceptional lunch experience at Rivers Bistro.